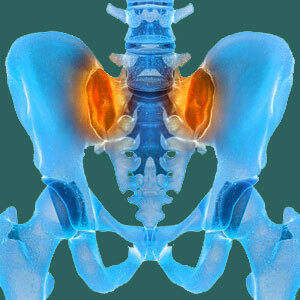 Sacroiliac arthritis comes in several varieties and ranges from asymptomatic to horrifically pathological. There are “normal cases” of arthritis, consisting of mild to moderate degrees of the osteo variety which are associated with age and activity. When no other specific terminology is added to the word arthritis, this is the type that is being discussed. However, there are many other diagnostic possibilities, since the condition has many faces, many expressions and many possible consequences for affected patients. Arthritis is a very misunderstood condition, with each variety being quite different than the next. Many people are surprised when they are diagnosed with arthritic changes, demonstrating a fundamental misunderstanding of the nature of aging on the joints of the body and the universality of the condition in adults. However, there are forms of arthritis that are not universal and can create disabling health issues that might warrant dramatic medical intervention. This important educational dialog examines the most common of all sacroiliac joint diagnoses, arthritis. We will breakdown the various types of arthritis that might affect the SI joint and detail the expected consequences for each variety of condition. Osteoarthritis is a completely normal process that is enacted by age and physical activity. It is generally found in adults over age 40 throughout the body, with common locations being the spine, the hip, the shoulder, the hands, the knees and anatomical sites of past fracture or injury. Osteoarthritis is not preventable to any significant degree, nor is it inherently symptomatic. Most cases are simply aspects of getting older and should not produce any substantial pain or physical limitations beyond general, occasional stiffness and some soreness. Osteoarthritis can affect the SI joint due to normal or excessive movement during life. It is found more often in athletic people, such as martial artists, yoga practitioners, gymnasts and others. Osteoarthritis is rarely considered the primary basis for SI joint pain, although some rare instances can involve truly advanced forms of joint degeneration that might be involved in the symptomatic expression. You can learn all the facts about arthritis in the spine from Cure-Back-Pain.Org, including the reasons why so many patients are mistakenly diagnosed as suffering from arthritic symptoms. If osteoarthritis is almost always innocent, then rheumatoid arthritis represents the counterpoint of an almost universally pathological form of joint deterioration. RA is often painful and even debilitating, tending to create substantial symptoms and limited functionality in affected joints, including the SIJ. Rheumatoid is an autoimmune disease that is highly unpredictable in the regions of the body it chooses to affect. Cases range greatly, but the sacroiliac joint is certainly a target that might be affected by RA in many patient profiles. Similar conditions which are also autoimmune disorders can affect the SI joint, as well. These include gout, ankylosing spondylitis (which often shows the first signs of its existence in the sacroiliac) and other forms of inflammatory joint diseases. All of these conditions can create big problems in the major joints of the body and might pose sizeable impediments to successful treatment, since doctors really do not fully understand why or how they occur. Less commonly, there are other forms of arthritic process that can affect the sacroiliac joint and influence pain expression and physical functionality. Psoriatic arthritis only affects the joints of a small minority of patients, but is often found in the sacroiliac when it does. Various highly specific forms of arthritis process might choose to target the SI joint, as well. Be sure to ask your doctor to test for any unusual types of arthritis before undergoing any type of sacroiliac joint treatment. If the pain is being caused by a disease process, it will not generally respond well to traditional therapies. In these cases, interventions should target the underling causative process and use modalities of care that differ from general sacroiliitis and SIJ dysfunction.